What is logic? Who cares? Is it important? Why is logic misunderstood by some? In this episode, Melanie and Michael discuss -- rough, raw, and unedited -- the quick basics of what logic is, how so many get it wrong, and why it is important for you to live a healthy, happy, thriving life. Broad-strokes for now. We will expand on all this in future episodes. 1:11 Some quotes: "If you're not getting hate mail..." and "First they don't ... See More know about you, then they ignore you..."
2:00 What is Logic? A fundamental to human life and to education. Clearly we need to learn logic -- just look around you. Detailed places it comes up in life. 4:15 Logic is a method. It's how we do things and how we think about things: education, kids, technique, in exercise, music, martial arts, etc All of these require logic. 9:00 Logic is behind all success -- good logic helps develop good technique in anything. 12:00 Conceptual knowledge, pre-conceptual knowledge, habits; logic helps with the proper development of these. 13:10 Emotions are part of our nature - logic and emotions integrate into a healthy individual. To deny one or the other, is illogical. Spock was illogical. 16:00 It's not a battle between emotion and reason - each has their proper role. Appreciate them for what they are and what they do! 20:10 Use your emotions *and* logic - just like you'd use your hands *and* your feet. 20:30 Logic is a tool for survival. 23:00 Some philosophers have had some bad premises based on some bad ideas about what logic was. 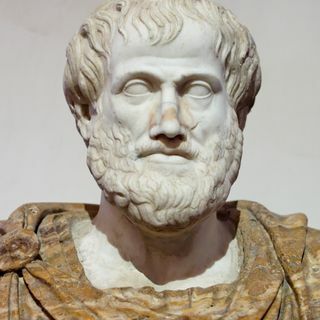 24:00 Aristotle was right: logic is about connecting your ideas, concepts, generalizations, and propositions to the world. The world is the standard, via the evidence of the senses. 26:30 Abraham Lincoln studied and memorized Euclid's Elements. This helped him reason better, become a better lawyer, become more successful in politics and become a president -- which positively affected our culture. All because he studied geometry. 28:20 Observation and induction connect us to reality. 30:25 To Sum Up: The most important things are classification, definition, forming generalizations, and forming concepts. They much more important to human survival and thriving than memorizing deductive form and such. Be logical. Check your premises. Be a good rational animal.